The timing could not have been worse: Hotel Mumbai opening in Australian cinemas the day before the horrific slaughter of innocents at two mosques in Christchurch. 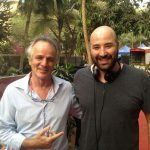 Anthony Maras’ thriller based on the 2008 terrorist attacks in Mumbai is a superbly-made film but the subject was not something that many Australian cinemagoers wanted to experience amid the shock and grief over events in Christchurch. Released by Icon, the film co-written by Maras and John Collee, starring Dev Patel, Armie Hammer, Nazanin Boniadi, Anupam Kher and Tilda Cobham-Hervey, opened in second spot, taking $979,000 on 268 screens and $1.06 million including previews. To be fair to the producers, Basil Iwanyk, Gary Hamilton, Mike Gabrawy, Julie Ryan, Andrew Ogilvie and Jomon Thomas, that is not a bad result and receipts may well build on word of mouth – but my guess is the total would have been at least $500,000 higher if it were released at any other time. Icon has withdrawn the film from New Zealand cinemas until March 28. 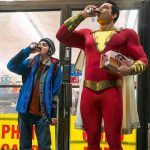 “Regrettably the timing of its release could not have been worse in light of weekend headlines, which has undoubtedly impacted its box office negatively,” Cinema Nova general manager Kristian Connelly tells IF. The cinema business is in a slump apart from Disney/Marvel’s Captain Marvel. The top 20 titles collectively rang up $11.9 million last weekend, down 37 per cent on the previous weekend, according to Numero. Transmission’s UK comedy-drama Sometimes, Always Never had a respectable opening and Bonsai Films launched David Barker’s psychological thriller Pimped on limited screens. Starring Brie Larson as the first female Marvel character to front her own movie and co-directed by Anna Boden and Ryan Fleck, Captain Marvel nabbed $7.3 million in its second weekend, falling by 46 per cent, hoisting the total to $26.2 million. The global haul rocketed to $US760 million, surpassing the lifetime cumes of Ant-Man and The Wasp, Iron Man 2, Thor: Dark World, Justice League, Man of Steel, Doctor Strange, The Amazing Spider-Man 2, Captain America: Winter Soldier,, Suicide Squad and X-Men: Days of Future Past. After amassing $226 million in just 10 days in the US, the sci-fi fantasy co-starring Samuel L. Jackson, Ben Mendelsohn, Jude Law and Annette Bening already ranks as the 25th biggest superhero movie of all time there. Sony Pictures’ A Dog’s Way Home fetched $643,000 in its third weekend, climbing to $3.5 million. Charles Martin Smith’s action adventure ran out of puff after scoring $41.6 million in the US and has just $31 million in the till from the rest of the world. Peter Farrelly’s Green Book advanced to $12.7 million after snaring $586,000 in its eighth outing for eOne. The race relations drama starring Viggo Mortensen and Mahershala Ali has pocketed $82.6 million in the US and $274.6 million worldwide. Fox’s Alita: Battle Angel mustered $264,000 in its fifth, reaching $10.7 million. Directed by Robert Rodriguez, the futuristic sci-fi adventure has bagged a mediocre $81.8 million in the US and an impressive $312.3 million in the rest of the world. Adam Shankman’s comedy What Men Want inched up to $5.6 million after banking $168,000 in its fifth for Paramount. James Marsh’s King of Thieves is heading for the exit after collaring $159,000 in its third weekend and $1.7 million thus far for Studiocanal. So is Neil Jordan’s thriller Greta, which moved along to $1.2 million after taking $159,000 in its third for Universal. Barker’s debut feature, Pimped unfolds over one night as Sarah (Ella Scott Lynch) meets the handsome charmer Lewis (Benedict Samuel). Lewis aims to be the bait in a sick sexual trap set up by himself and his low-life, rich housemate Kenneth (Robin Goldsworthy) but the ruse backfires. Produced by Barker and Annie Kinnane, the film drew $7,800 including previews on eight screens. “The BO is lower than I hoped but these types of films often find their audience on subsequent platforms,” says Bonsai Films’ Jonathan Page. 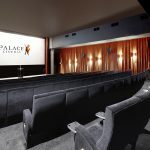 The title will be released on home entertainment by Pinnacle Films in July and Page will soon lock down deals with free-to-air and pay TV broadcasters and streaming services. Barker was encouraged by audience responses at Q&As, observing: “I was amazed with how many people wanted to talk to Ella and myself about the identity conflict at the centre of the film and the way her conflict was incorporated into a noirish psychological thriller. Toronto-based sales agent Raven Banner had delayed the sales campaign pending the Australian results and will aim to capitalize on the marketing assets and reviews.